Is Your Non-Compete Enforceable Against That Employee? You cannot enforce a non-compete agreement against every employee. That may not be a surprise to you, and you may not care about enforcing non-competes against entry-level employees. But Georgia law can be more limited than employers may realize. Even employees that supervise other employees or have some customer-facing responsibilities may not be eligible for a non-compete under Georgia’s 2011 Restrictive Covenants Act (“Act”). Let’s take a look. The Act defines which employees can sign an enforceable non-compete. The good news for employers is that the definitions seem to cover the employees that could most hurt your business by leaving. The bad news—especially for small businesses in which employees fill many different roles—is that judges may not extend the definitions to cover important employees who do a bit of everything—some management, some customer-facing work. Businesses can only enforce non-competes against employees who “[a](1) Customarily and regularly solicit for the employer customers or prospective customers;” “[a](2) Customarily and regularly engage in making sales or obtaining orders or contracts for products or services to be performed by others;” (a)(3) are managers; or (a)(4) are key employees or professionals. possesses specialized skills because of working for the employer. Finally, a “professional” is an employee whose “primary duty [is] the performance of work requiring knowledge of an advanced type in a field of science or learning customarily acquired by a prolonged course of specialized intellectual instruction or requiring invention.” The easiest way to think of a professional under the Act is of someone who needs a graduate degree to do what he or she is doing. These definitions seem like they would cover all the important employees. But, so far, only one case—a Georgia federal case—has deeply analyzed what some of these definitions mean. In CSM Bakery Solutions v. Debus, 2017 WL 2903354 (N.D. Ga. Jan. 25, 2017), the defendant employee (“Debus”) was a technical services sales representative and then a sales representative for the baker manufacturer plaintiff (“CSM”). She had signed a non-compete and left to go work for a competitor. The plaintiff was worried enough to file a lawsuit against her to enforce the non-compete. CSM argued that it could enforce the non-compete against Debus under Section 13-8-53(a)(1) (regularly solicit customers), (a)(2) (regularly engage in obtaining orders), (a)(3) (managerial duties), and (a)(4) (key employee). But the judge did not let the employer enforce the non-compete, ruling that she was not the type of employee covered by the Act. So what did Debus do for CSM? Initially, CSM hired her because of her ability to make and decorate cakes and nearly exclusively had Debus working with CSM’s customer, Jewel, a grocer. Working with Jewel as a technical services sales representative, Debus trained and assisted cake decorators on the decoration and display of cakes in Jewel stores. Debus also promoted new ideas for Jewel to use in designing and displaying cakes to Jewel’s customers. After a while, CSM promoted Debus to sales representative. An employer who tries to enforce a non-compete against any employee who does not spend most or all of his or her time making sales or managing people may be making an expensive mistake. 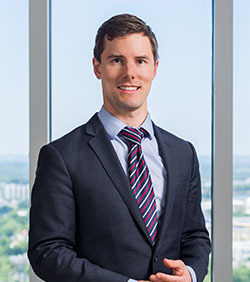 Cameron W. Ellis is a lawyer at Krevolin & Horst, LLC, a business law and litigation boutique based in Atlanta, Georgia. Mr. Ellis focuses his practice on trade secrets, non-competition litigation, and disputes between business owners. The firm and Mr. Ellis have extensive experience litigating and arbitrating complex non-compete, trade secret, and business tort matters. Mr. Ellis can be reached at 404-888-9700. 2017 WL 2903354, at *3-5. 2017 WL 2903354, at *4-5 (citations omitted). 2017 WL 2903354, at *5-6. 2017 WL 2903354, at *6.